Home Jobs & Education How Much Do Security Guards Make? Security guards patrol buildings and monitor people to prevent the occurrence of crime, including fire, vandalism, theft, terrorism, and other illegal activities. 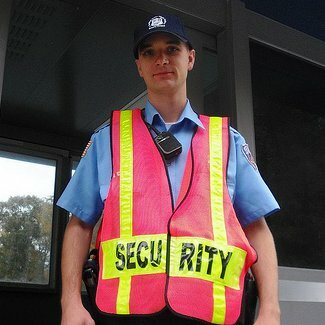 Security guards are typically responsible for enforcing laws on employers’ property, monitoring security alarms and cameras, controlling access for employees or visitors, conducting thorough security checks, composing comprehensive security reports outlining their surveillance, and detaining any offenders breaking violations. The vast majority of security guards, around 53 percent, are employed in the investigation and security services industry in a variety of settings. Security guards often work at public buildings, retail stores, offices, banks, schools, hotels, stadiums, residential buildings, bars, casinos, and hospitals. Other specialized security guards are employed by the government to serve as transportation security screeners in terminals for air, sea, and rail transportation facilities. Since security guards need to provide surveillance or protect around the clock, most work rotating eight-hour or longer shifts for full-time status. How much does a salary guard make? According to the Bureau of Labor Statistics May 2012 records, the 1,046,420 security guards employed throughout the United States earn an average yearly security guard salary of $27,240, or a mean hourly wage of $13.10. The bottom ten percent in the profession makes a mean $17,390 each year or less, the top ten percent of security guards bring home an average of $42,490+ annually. Security guards employed in investigation and security services earn slightly less than average at $25,340, but those that work for banks and monetary authorities make considerably more at an annual average salary of $38,570. The top-paying states for the field are the District of Columbia and Alaska, where security guards earn $37,010 and $36,610 each year respectively. As concerns for crime, terrorism, and vandalism continue to escalate, there will be growing demand for various forms of security to protect both people and their property. Therefore, employment for security guards is expected to grow about as fast as the national average for all occupations at a rate of 19 percent, which will create 195,000 new jobs before 2020. The most promising job prospects will be in the private sector as security firms will continue to take over some of the duties that law enforcement officers used to be responsible for. How Much Do Private Investigators Make? How Much Do Ultrasound Technicians Make? How Much Do Police Officers Make? 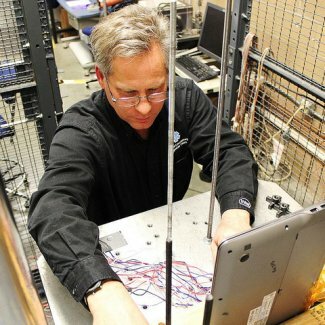 How Much Do Computer Engineers Make? How Much Does a Stock Broker Make in 2018? How Much Do Project Managers Make? How Much Do Lawyers Make in 2018?